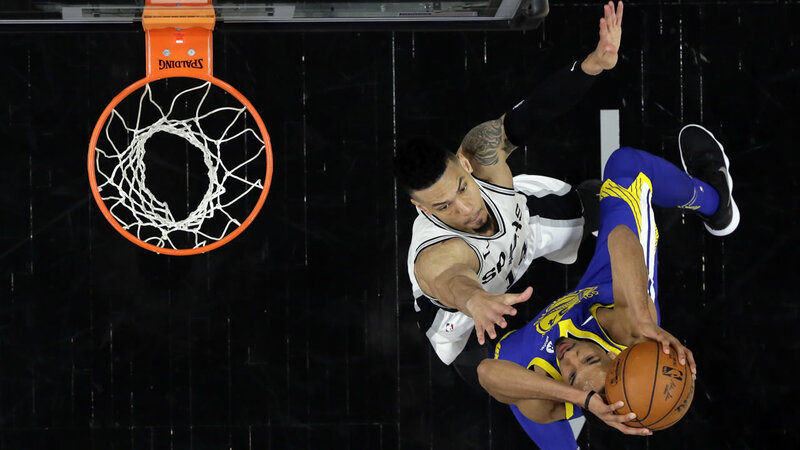 SAN ANTONIO (KGO) -- The Golden State Warriors had a slow start against the Spurs for Game 3 but ramped up as shots started falling and the offense started invading the paint in the later quarters. Kevin Durant had 26 points, nine rebounds and six assists, and the Golden State Warriors beat San Antonio 110-97 on Thursday night for a 3-0 series lead over the Spurs, who were still reeling from the death of Gregg Popovich's wife, Erin. Ginobili and fellow veteran Tony Parker said it was tough to play basketball following Erin's passing, but the team's goal was to compete and play with the grit Popovich has always demanded of them.